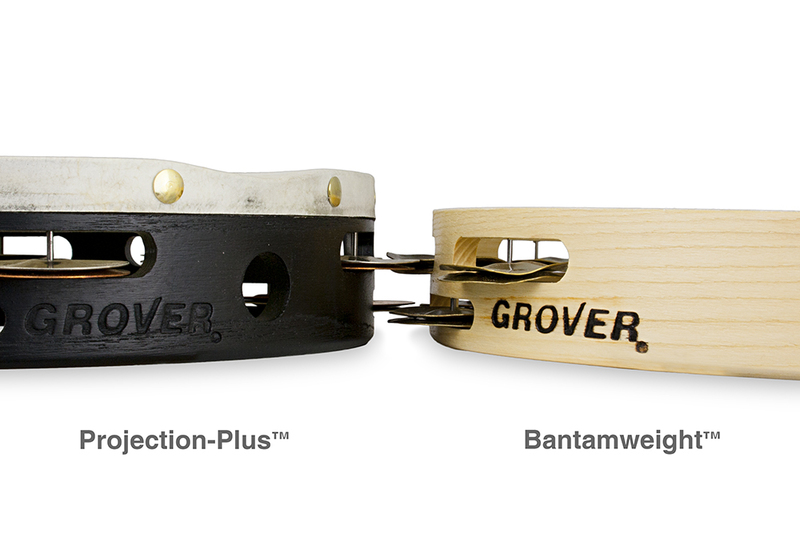 Weighing 15% less than our other pro-level tambourines, Grover Pro Bantamweight™ Series tambourines are easier to grip, control, and play! The Bantamweight’s shell is narrower in depth, resulting in a professional-quality instrument which can be played with ease and dexterity, especially by younger percussionists and those with smaller hands. A synthetic head is carefully pre-tensioned and mounted to the shell using a two-part adhesive that secures the perimeter of the head to the shell’s bearing edge. Remo’s Skyntone® head material is used because it closely simulates the natural warmth of real skin, the difference being that it will remain tight at all times and under any playing condition. Our innovative Hybrid Silver tambourine blends German Silver with Custom Dry jingles. Perhaps our most versatile model, this tambourine is an excellent choice for those who need one tambourine to do it all. 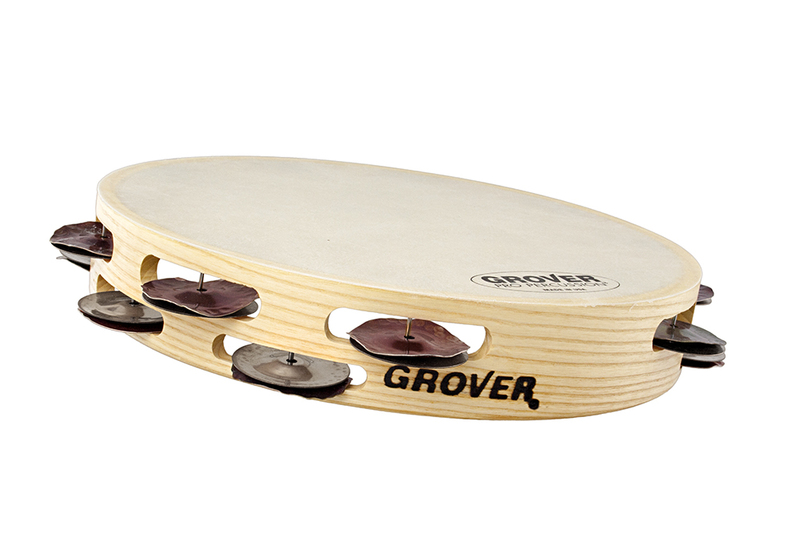 Our Hybrid tambourine produces a bright, articulate sound throughout a wide dynamic spectrum.